After settling into our casita, we spent the two days exploring the greater Albuquerque area. Since this was the nuclear road trip, naturally we had to visit the National Museum of Nuclear Science and History. Day 3 and 4 were all about the Grand Canyon. Neither of us have any recollection of seeing it before; twas one of the first destinations we listed when planning the trip. Williams staged us for a quick 1-hour drive to get to the park. Sadly, breakfast was a bust in Williams and that was the final nail in in the coffin for Williams — never stopping there again! Unfortunately, it was an equally slim selection along AZ 64, but, we did manage to find a hotel with diner attached. After our long, 600 mile previous day, the promise of a leisurely stroll exploring the Mother Road was just what we all needed. Sleeping 3-across on the bed, Stella fell off the end several times and, generally, there was tossy-turny sleep for most of us. Tired or not, Maia’s internal alarm clock is quite reliable and the rest of us were awakened sooner than we’d have liked. Round abouts 8:30, we stretched our legs and casually ambled toward the nearby breakfast hole. The girls were psyched to find a Pegasus around the corner. And, so begins the 2 week adventure that will check off 5 new states in our 50 by 18 Project. 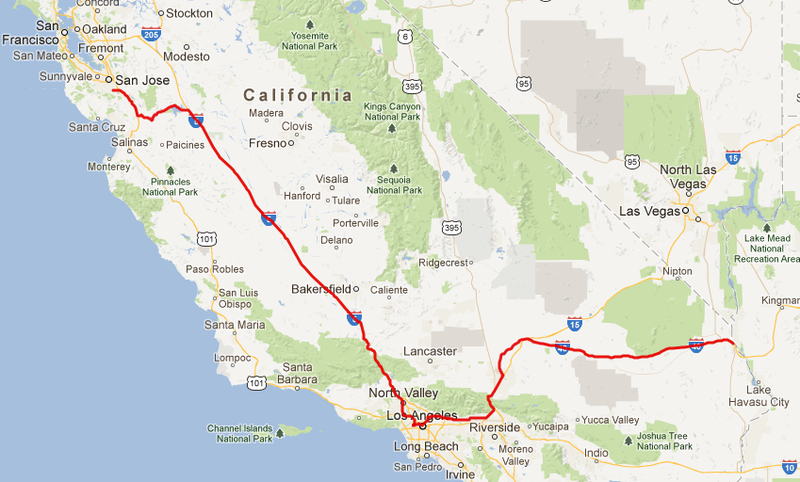 This trip is all about the desert Southwest. The months leading up to the trip, Valerie and I plotted and schemed the best route to cover, and ultimately ended up with a Google Doc that had a day-by-day plan with sights to see, places to stay, and reasonable mileages to cover with a six year old sandwiched between a pair of four-year-olds in the back of our trusty Jetta Wagon TDI. However, the first day was anything BUT a reasonable mileage day. 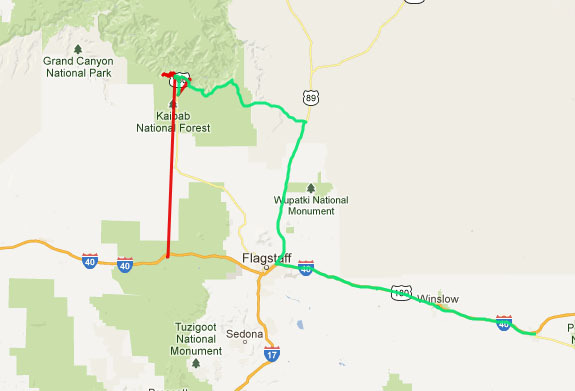 We wanted to run as much of the old road of Route 66 as we could going toward Albuquerque. Since we were so close to LA, we might as well stop and visit our friends, Mark and April, and see their new(ish) born daughter, Violet. Valerie and I have a goal to introduce the kids to all 50 states before Miss Maia (our oldest) turns 18 in 2024. Neither Valerie or myself have visited all 50 states yet and we both feel it’s a an important experience that we can give the kids.